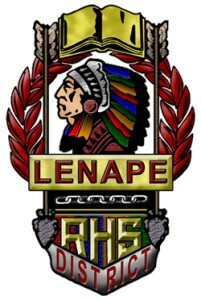 At last week’s Lenape Regional High School District Meeting Lenape principal Tony Cattani and Shawnee Principal Matthew Campbell gave a presentation on the No Place for Hate Program that began several years ago. Cattani could not say enough about the pride that the Lenape Regional High School District has when it comes to its diversity, whether that be dealing with ethnicity, socioeconomic status, religion, sexual orientation or even academic status. “The big piece for us is that the students and staff are respecting all of these parties and working together to get an education,” Cattani said. The district got involved with No Place for Hate to educate the LRHSD community of its diversity by celebrating this diversity and promoting a mutual respect. On Oct. 8 all four schools in the LRHSD were designated as No Place for Hate schools for the third consecutive year. “We’re extremely proud of that,” Cattani said. Part of the criteria to join the program is to do three programs at your respective school related to No Place for Hate. These programs need to be created in advance so they can be approved by the Anti Defamation League, an agency that fights anti-Semitism and all forms of bigotry, defends democratic ideals and protects civil rights for all. Many of the schools did more than the minimum of three programs, putting together an upwards of 12 programs throughout the year. As a benefit of their partnership with the ADL, the district receives a Youth Leadership Symposium each year that takes place at the University of Pennsylvania. This will be the fourth year that the district has taken part in the symposium in which each school sends eight students. These kids listen to the keynote speaker and then break up into different groups where they are exposed to different ideas that they can then translate into new ideas for their respective schools. This year each school put together a different banner for the “Resolution of Respect” activity that was hung in the school for back to school night for the parents to sign as well. Another idea that the district does for this program is the “upstander” poster. An upstander is described by the schools as the opposite of a bystander or a person who will get actively involved in conflict instead of just watching. “They’re the ones that we want other students to emulate,” Campbell said. Each year teachers and coaches are asked to select these upstanders to be put on the posters. The posters are put up throughout the buildings, the community and in the middle schools for the younger kids to admire. Other than these uniform activities that each school in the district take part in, there are also individual things that the schools do within themselves. These activates are designed to give students perspective that they are all different but their uniqueness makes them the same. They promote respect and acceptance for students by having them break out of their comfort zones and pick the brains of different kinds of people. These are characteristics that this district has been trying to instill into their students for many years as a lot of these activities were already in place before the district got involved with the ADL. For the second year in a row LRHSD’s Electronic Violence and Vandalism Reporting System and Harassment, Intimidation and Bullying numbers have gone down. LRHSD showed a decline in the substance abuse category, the vandalism category and it’s total recorded incidents. There were zero instances of HIB during this period, which ranged from Jan. 1 to June 30 of last school year.